Where Are All The A's Fans? Announced attendance for Monday’s 7-6 win over the Mariners was 10,400, and the emptiness was noticeable. Matt Chapman, who hit three doubles and extended his on-base streak to 27 games and is starting to make some noise in the MVP race, used his postgame interview to plead with fans—as politely and positively as possible—to start coming to games. 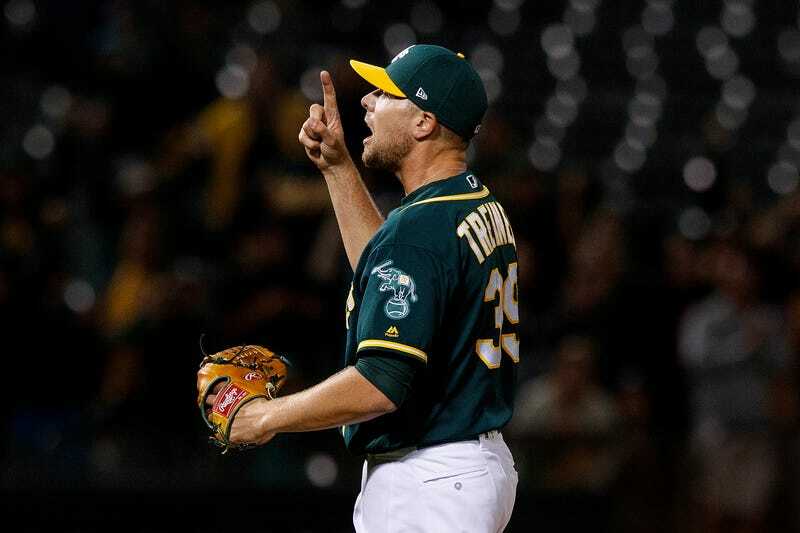 The A’s are averaging just over 18,400 a game, third-worst in the majors. It’s been like this for years and, as Ray Ratto notes, two hot months can’t really be expected to turn things around. But, here’s a notion: Why is the onus on the fans? Why is it ever on the fans to pay good money to support an organization that frankly may not deserve their support? This doesn’t happen in any other industry. If Pepsi sales are down, no one ever blames Pepsi drinkers for not drinking enough Pepsi. They rightly blame Pepsi for not putting out products people want to buy, or not marketing it well. Sports are a slightly different animal, because the product is the team—the players, who have feelings and can speak up about wishing more people were at the ballpark. Fans feel a connection with them, and want to support them, but the fact is that fans’ (customers’) money doesn’t go to the players, it goes to ownership. And the current A’s ownership has never really done anything to make fans feel like they should emotionally or financially invest in this organization, because the organization definitely does not love them back. For a couple of decades, all fans have been told is that the city of Oakland isn’t good enough to support a team; that the ballpark’s a shithole and ownership will never ever pay for a new one; that any time a player gets good enough to be expensive, he’ll be shipped out of town; that ownership is never going to spend money to be real contender. Sure, it’s great to to cheer on Matt Chapman, but history says that Chapman is likely to head to another team in his prime. Majority owner John J. Fisher (fun fact: he is the failson of the couple who started The Gap!) has done everything possible to alienate fans, so it’s unrealistic to expect those same fans to forgive and forget just as soon as the team starts winning. A’s fans know the deal. They’ve seen this before, and every few years, and they only ever end up getting burned. You’ll forgive them if they don’t get too excited just yet.